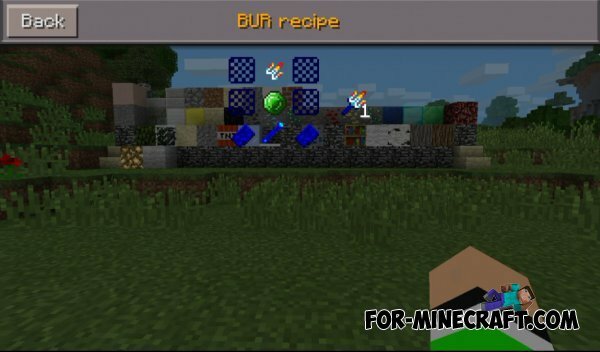 Comands and Bur Mod for Minecraft PE 0.9.5 - this mod to drill and commands for Minecraft PE. It's two in the same mod. In the archive you will see two files with the modes and special texture. All of this will need to install the game. 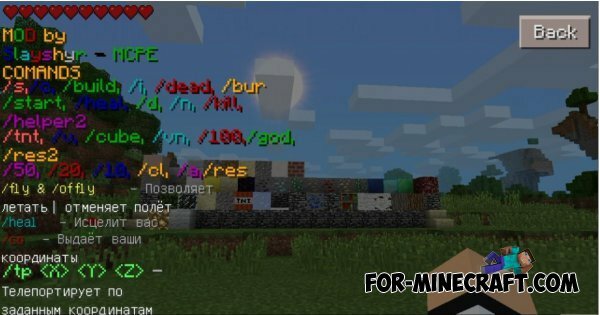 So you can learn all the commands that are available in this mode just type the word in the chat help. To get everything you need to automatically craft drill just mount it in the same chat word cbur.